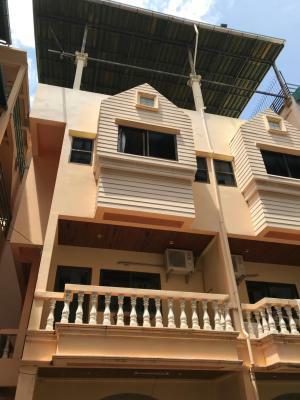 Located in between Wat Phra Yai Hill and Paradise Beach, Guestpat Casabella a guest house offering nonsmoking rooms with air conditioning and it's own private bathroom with hot and cold running water. All rooms have access to WiFi. They come fitted with a refrigerator and coffee/making facilities. Selected rooms also come with a private balcony overlooking the garden. Free washing machine, microwave and ironing board are available on request. Phratamnak Beach is about 1,300 feet away or a 5-minute walk. Various restaurants, bars, convenience stores, markets and ATM cash machines can be found around Guestpat Casabella. The property is approximately a 2-hour drive from Bangkok. When would you like to stay at Guestpat Casabella? House Rules Guestpat Casabella takes special requests – add in the next step! Guestpat Casabella accepts these cards and reserves the right to temporarily hold an amount prior to arrival. Please inform Guestpat Casabella of your expected arrival time in advance. You can use the Special Requests box when booking, or contact the property directly using the contact details in your confirmation. We need at least 5 reviews before we can calculate a review score. If you book and review your stay, you can help Guestpat Casabella meet this goal.